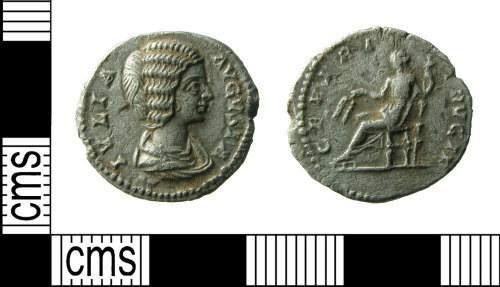 A slightly worn Roman denarius of Julia Domna (AD 193-217), CERERI FRVGIF reverse type depicting Ceres seated left, holding corn-ears and torch. Minted at Rome, AD 196-211 (Reece period 10). Reference: RIC IV pt.1, p.166, 546.